The Northwest Instrument NAT91 Heavy Duty Aluminum Tripod is a premium tool for use with high-quality optical equipment. This device sets up easily to the level you select. Use the telescopic legs to adjust its height anywhere between 38 and 64 inches. Lock the leg tightly in place with the heavy duty clamps. The sharp steel pointed feet remain firmly entrenched in the ground and the legs stay exactly where you set them. Once you are satisfied with the height of your setup, you can attach a laser or other equipment to the flat head. The threading is a standard 5/8-inch X 11. So, it allows attachment of most equipment commonly used with a tripod. 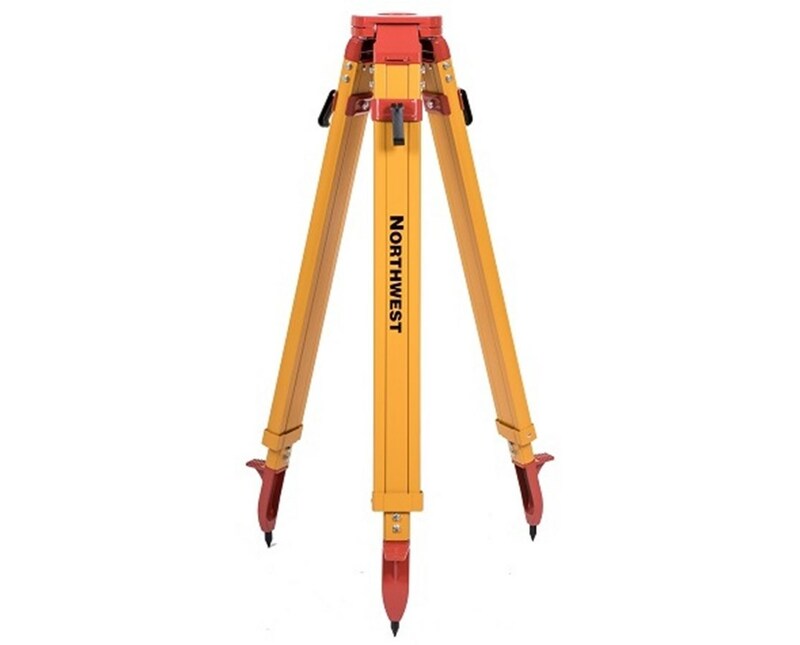 This tool is perfect for road work, construction, surveyors, engineers, and others that need a reliable device for optical equipment. 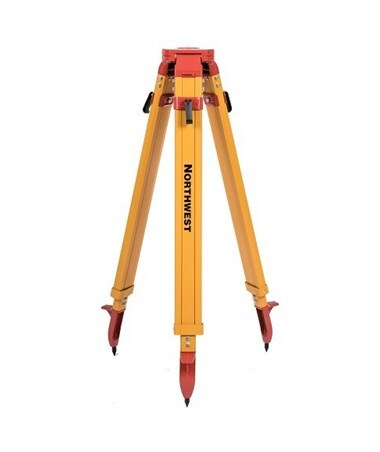 The NWI NAT91 Heavy Duty Aluminum Tripod is aluminum with bright yellow powder-coating. This powder coating serves two purposes. First, it protects the aluminum from the elements and provides enhanced durability. Second, the bright color makes you more visible to vehicles near or on the work site, servicing as a safety precaution. This tool also includes a useful shoulder trap for easier transport between locations. The Northwest Instrument NAT91 Heavy Duty Aluminum Tripod has two head type options - flat or dome. Choose from the menu above.